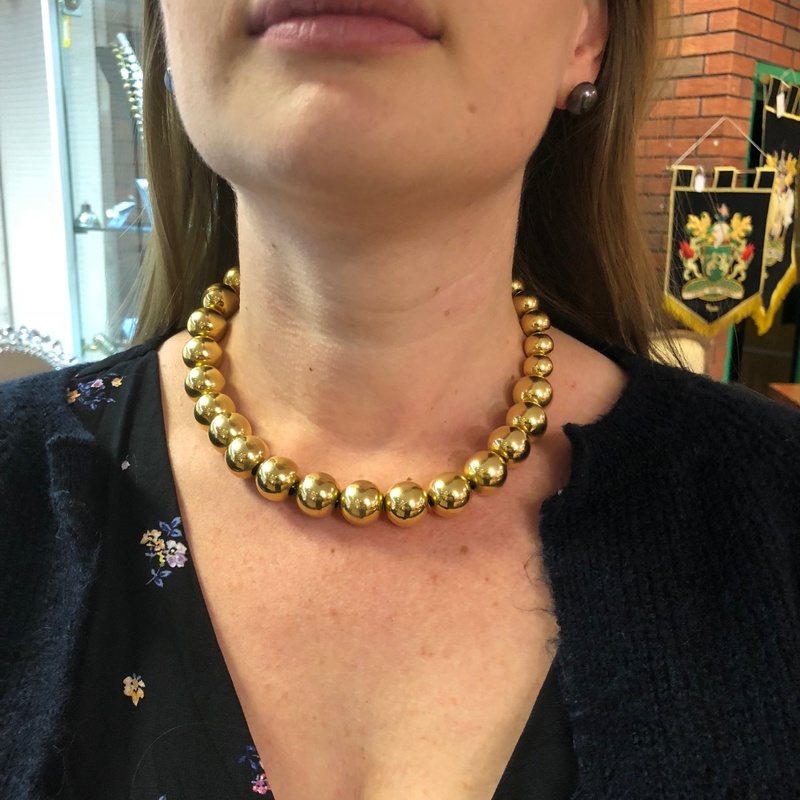 French 18ct gold balls necklace; this dramatic necklace is formed of graduated heavy 18ct gold balls threaded through a substantial 18ct gold chain. 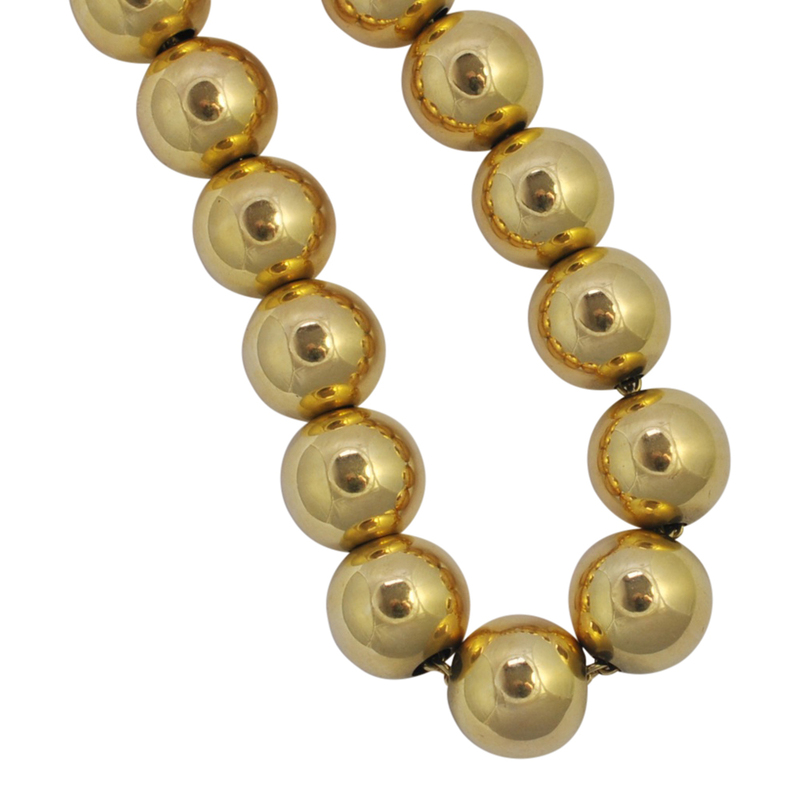 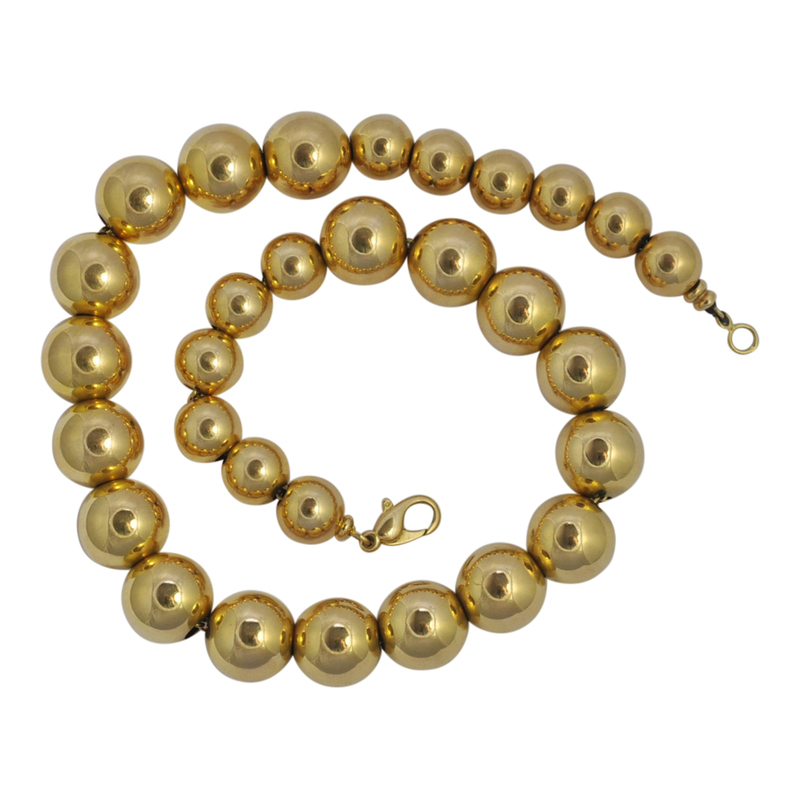 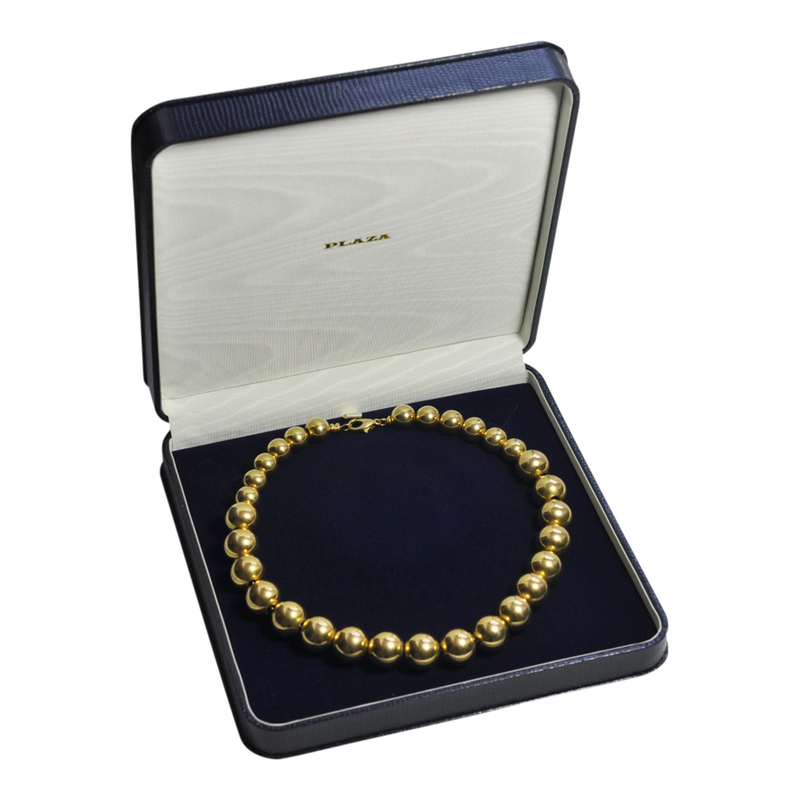 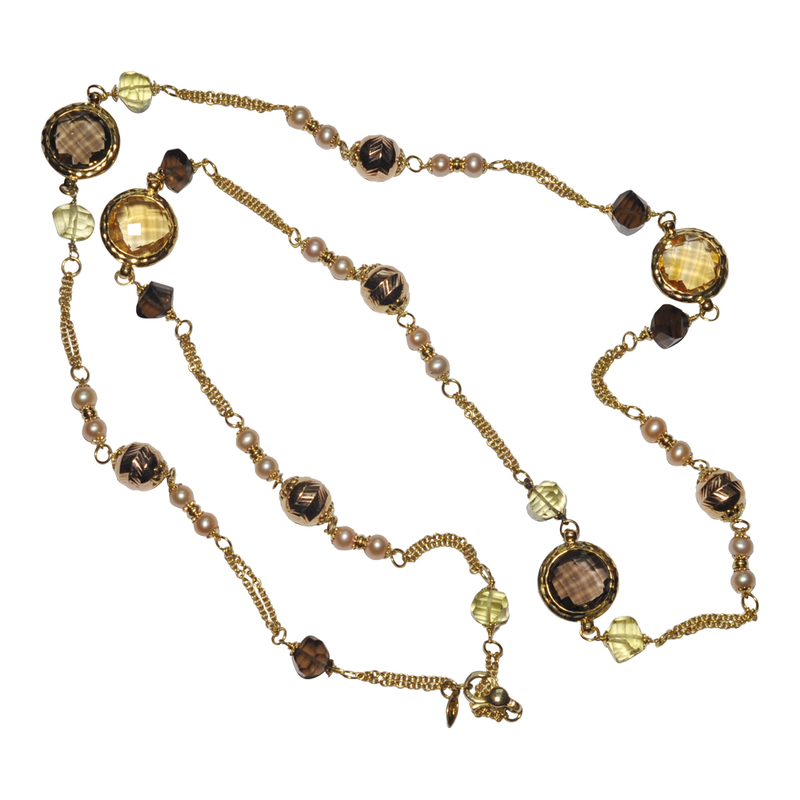 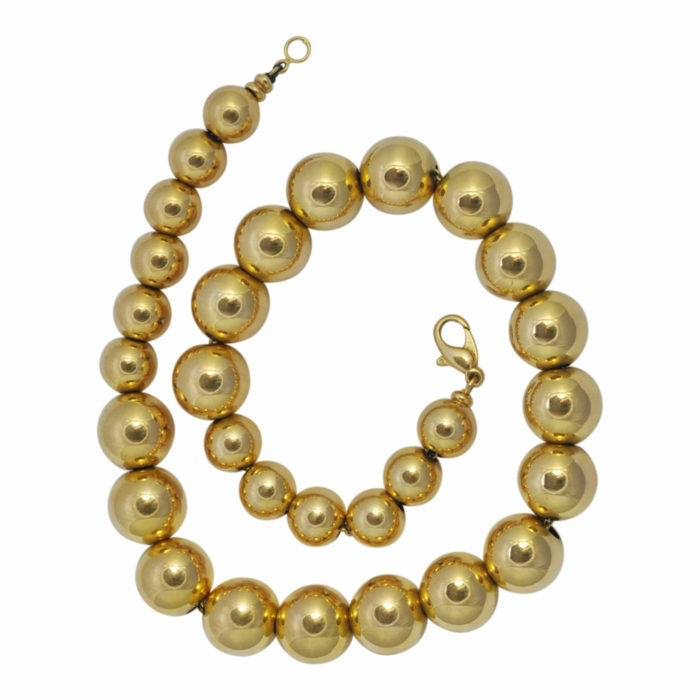 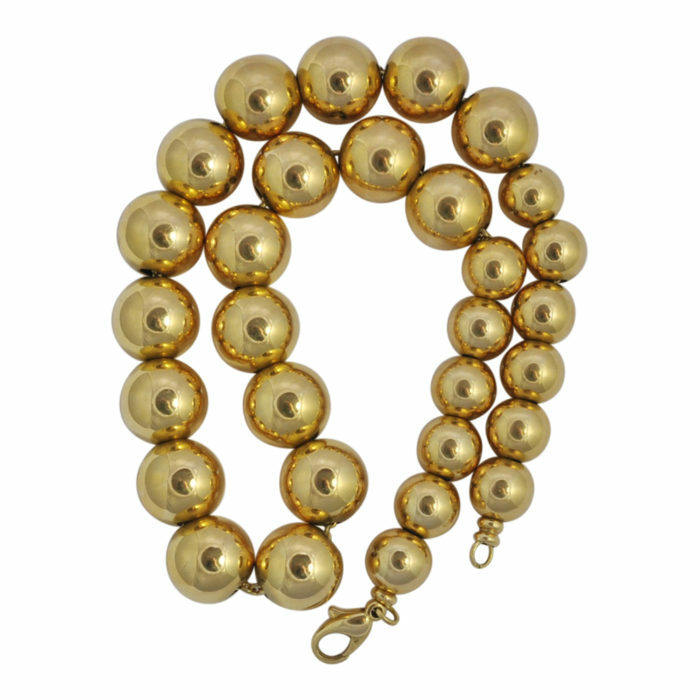 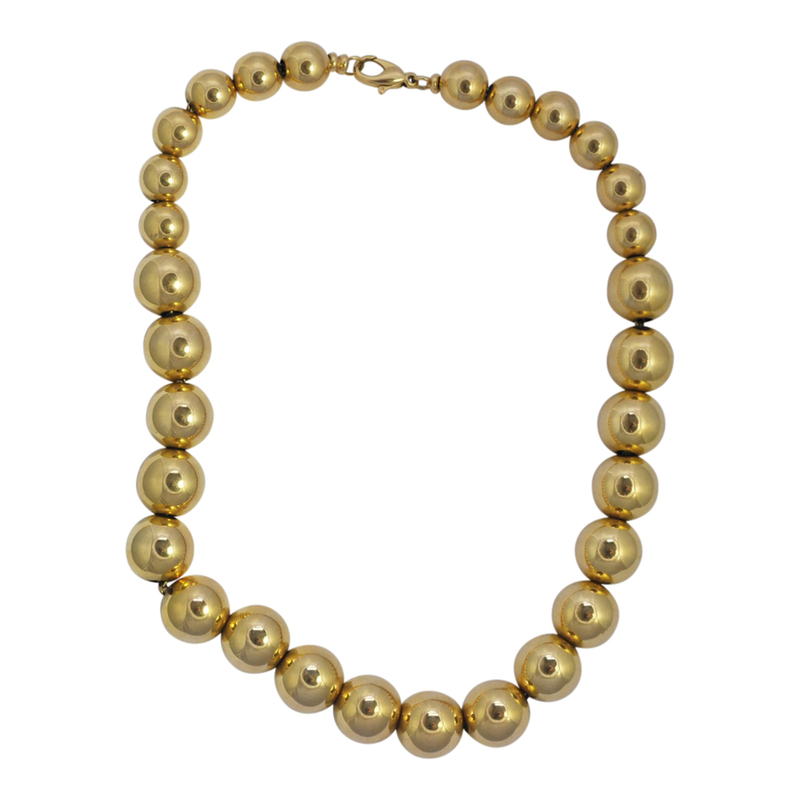 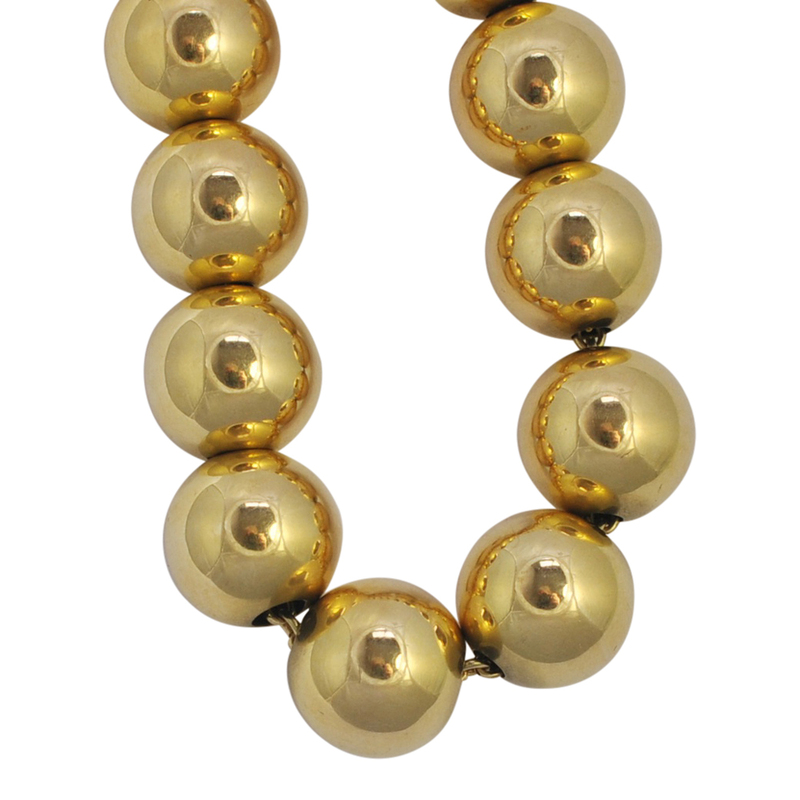 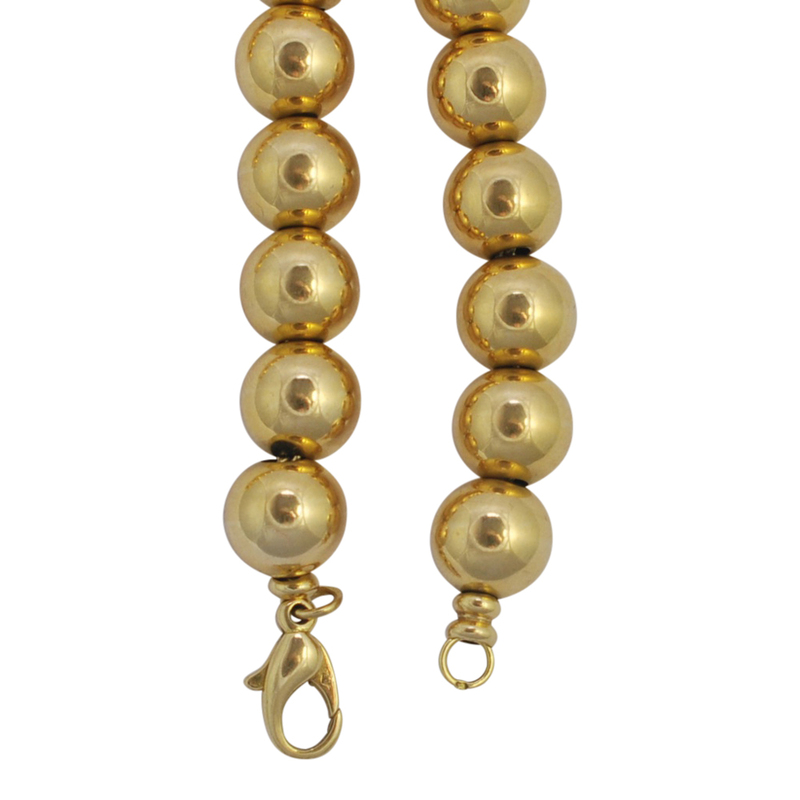 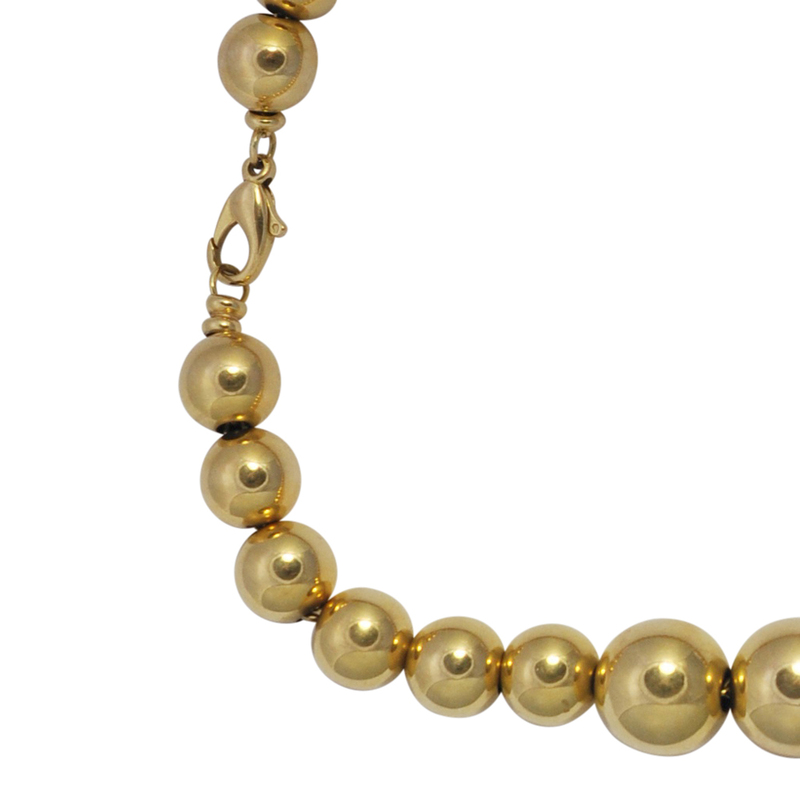 The gold balls measure from 12mm to 16mm and the necklace is fitted with a good strong lobster claw clasp. Weight 134.38gms; length 17.5″/45cms. 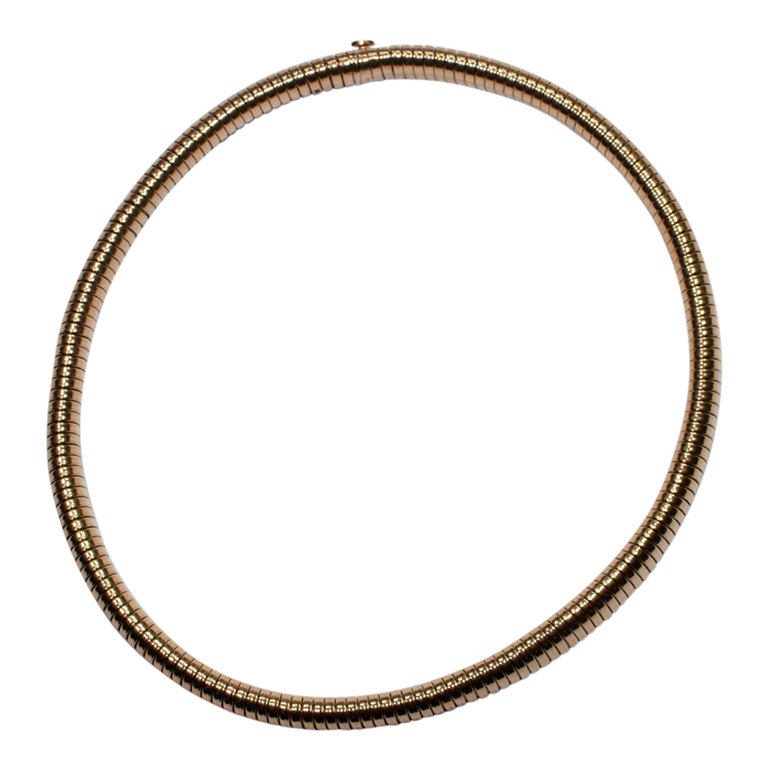 Stamped with the French state control mark for 18ct gold (Eagle’s Head). 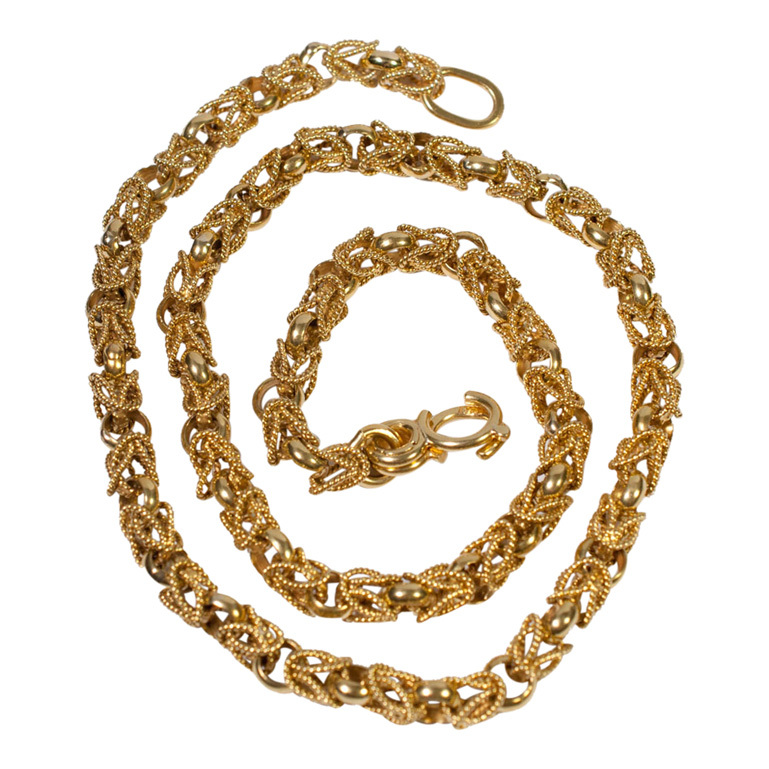 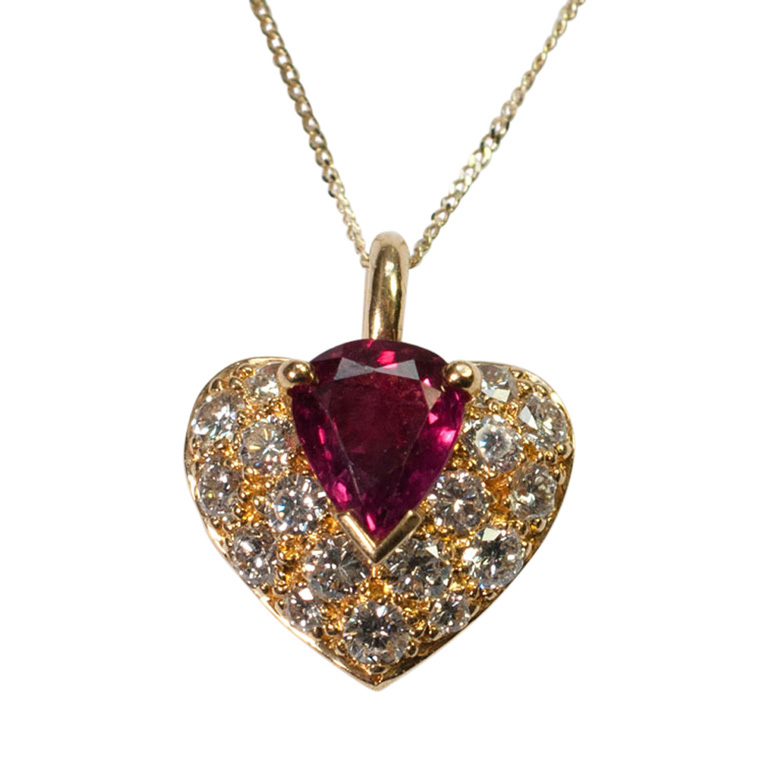 The necklace is in excellent condition and dates from the 1980s.